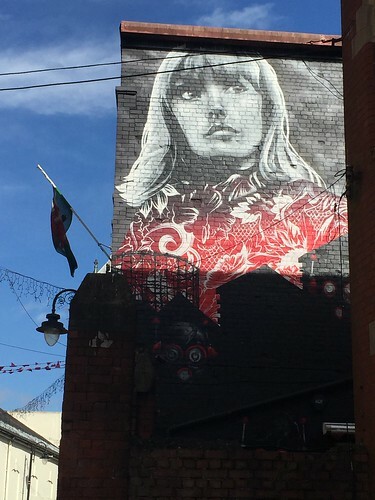 Last weekend I participated in a travel blogging conference called Traverse and spent a couple of days in the lovely city that hosted it: Cardiff. 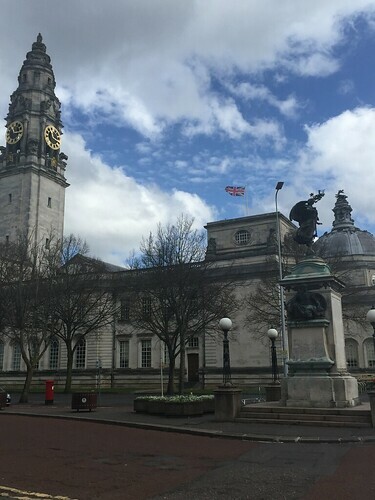 The capital of Wales, Cardiff is located on the southern Welsh coast: it overlooks the synonymous bay and has a history that dates back to Roman times. 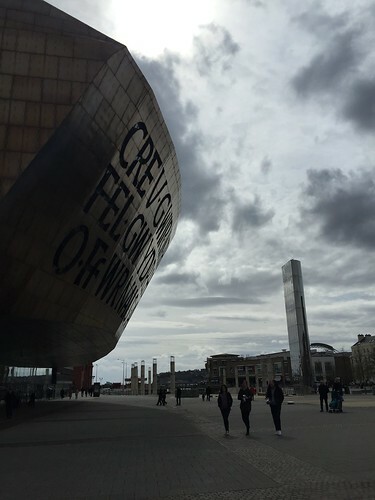 It was my first time in the city and to make the most of it, I took a self-guided tour of its castle and then joined some of the activities generously offered by the conference organisers: a walking tour of the old town and then a visit to one of Cardiff’s most peculiar museums, The Dr. Who Experience. The latter was incredibly enjoyable and also gave me the chance to see a part of town I would have otherwise missed: the waterfront. 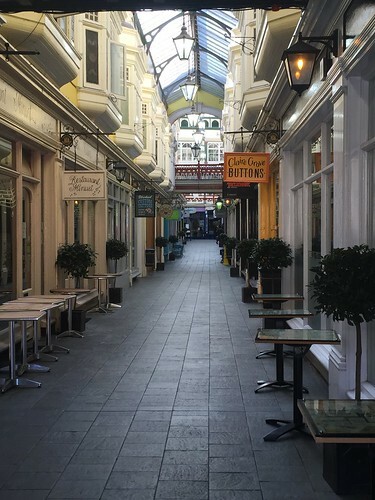 Cardiff has a compact city centre and the best way to experience it is to take a stroll along its street. Our host for the day were the lovely folks at Cardiff on Foot and they were the best guide we could ask for: enthusiastic and knowledgeable, they made the city come to life and gave us great insight on its history and architecture. It dates back to Roman times but while part of the original brickwork is still visible on the external wall, its imposing entrance is the result of later fortifications. The tower is open to the public and the easy climb rewarded me with lovely views over the surrounding city. 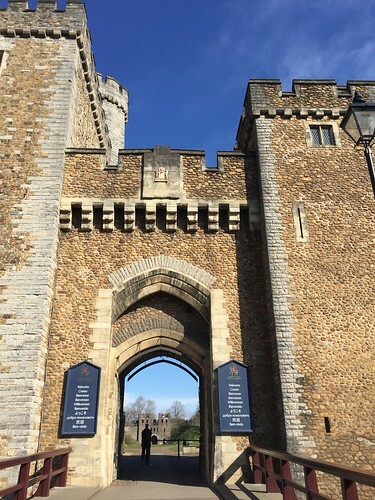 The tower is a great vantage point but the most interesting part of the castle is hosted in its external walls and chambers: these host the museum of military history with, among other things, haunting propaganda posters dating back to war times. 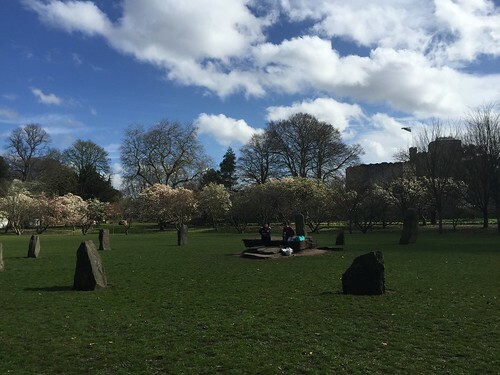 Passing it, you then reach Bute park: originally the grounds of the castle, the park is now a public space where festivals and events are held regularly. On a Sunday morning, when I visited, the park is heaven for dog owners and families with children, strolling under the blossoming magnolia trees. 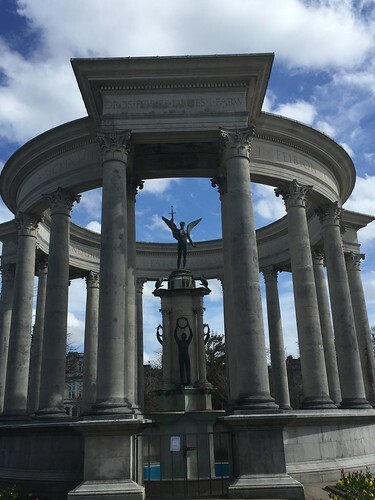 Our walking tour of Cardiff focussed on the old part of town and was a pleasant way to spend the morning. 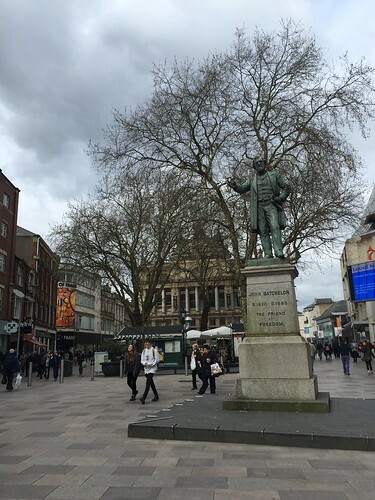 Cardiff city centre is not big and you can easily get a good sense it walking at a leisurely pace. 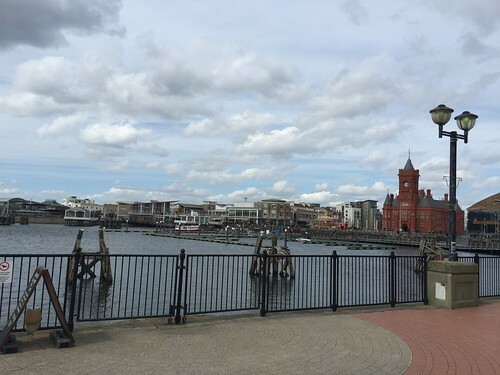 After visiting Cardiff’s medieval and post-industrial life, it is worth catching a bus to the Bay. This part of the city, as the name suggests, overlooks the sea and despite being only 10 minutes by bus from the city centre, feel like a different world. 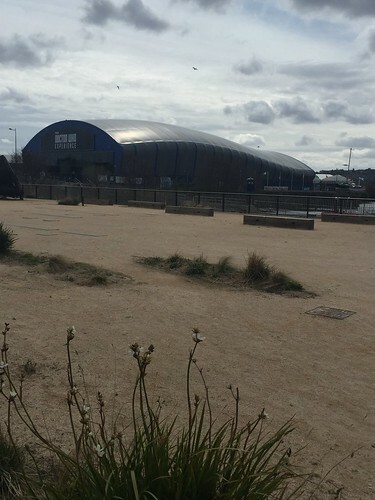 The waterfront has modern buildings, wide spaces and the sea and sky give a wonderful sense of openness and light. 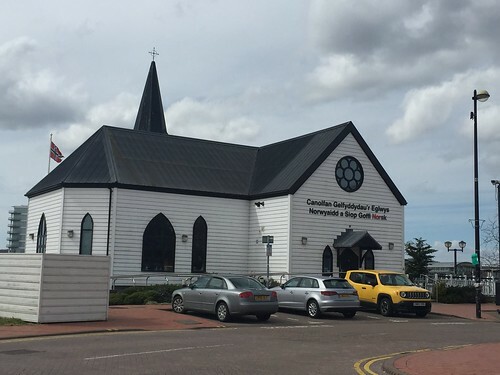 The area is famous for the many arts festivals it hosts but also for being the home of some very successful TV productions, including the iconic Dr. Who (BBC Wales studios are here). 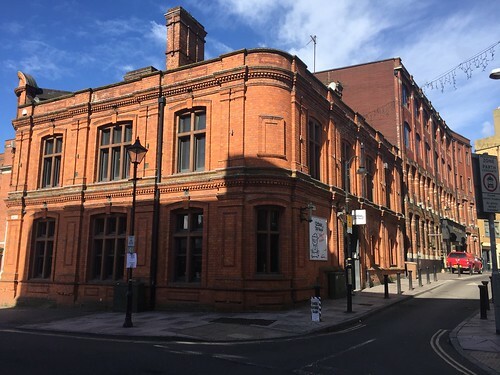 The Doctor is not just a guest in this part of town but has a whole exhibition, where you can discover costumes and props from the show and be part of your very own adventure. While not a proper fan, I do love Dr. Who and ventured inside the turtle like building. Strict rules forbid me to share what happened during my time warp there but let me reveal this: Daleks are involved and you will not be disappointed! After my long walk and my space adventure, the moment came for me to catch my bus and return to Dublin. 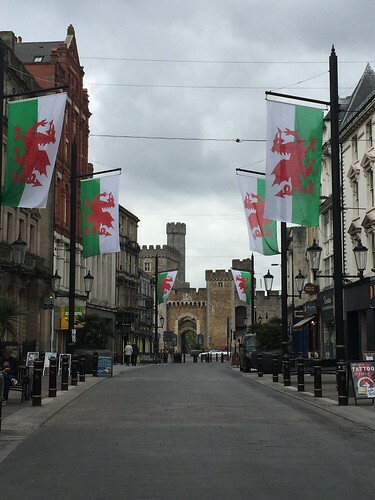 I left Cardiff feeling an unexpected fondness for the city and a strong desire to return to Wales soon. Thank you, Traverse and Cardiff on foot for the lovely time! 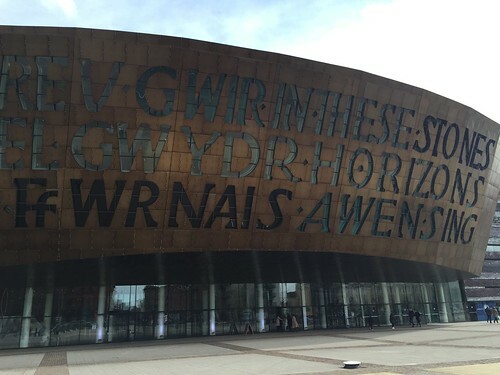 For kids: I visited Cardiff on my own but I took note of some attractions that would be suitable for kids. 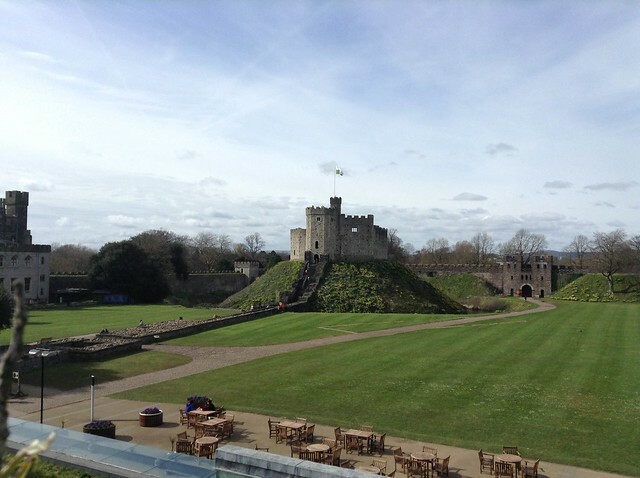 The castle and Bute park are perfect for a family day out while in the bay area my pick for families with children is Techniquest and Dr. Who experience.